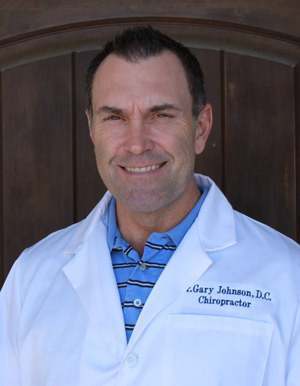 For nearly two decades, Dr. Gary Johnson been passionate about serving Mesquite and Sunnyvale patients with natural and effective chiropractic care. Recognizing the need for this holistic form of care in Crandall, Dr. Johnson is excited to announce the opening of his new clinic there, where Dr. Johnson and his family are an active part of the community. With our two locations—Crandall and Mesquite—we’re better equipped to serve our families and individuals with our noninvasive, nonsurgical solutions. We are proud to offer family wellness and relief care. From children who participate in sports to seniors who would like to be able to play with their grandchildren pain-free, nearly anyone can benefit from chiropractic care. Whatever your age or stage of life, our mission is to promote physical and mental health and wellness, so you can feel better, look better, and do more! You can be sure that we’ll care for you as if you were a member of our family. You’ll always receive high-quality chiropractic to relieve pain and optimize your health to its maximum potential. We understand that some people look to chiropractors as a last resort. Our desire is that you’ll consider us as your first choice in health care. Highly thoughtful and methodical about what he does, Dr. Johnson aims to provide the best quality care around. If you’ve tried medications or surgeries but haven’t gotten better or achieved desired results, you’ve come to the right place. With a variety of chiropractic techniques at our disposal, as well as massage and laser therapy, you can receive the healing help you need! One of the ways that we set ourselves apart as a chiropractic office in the area is that we accept most insurance to make your visits affordable. We also invite you to inquire about our pre-examination special. This offer applies to new patients only and does not include any other service or product. Due to federal law, some Medicare recipients may not be eligible for this offer. Contact us today to learn more!